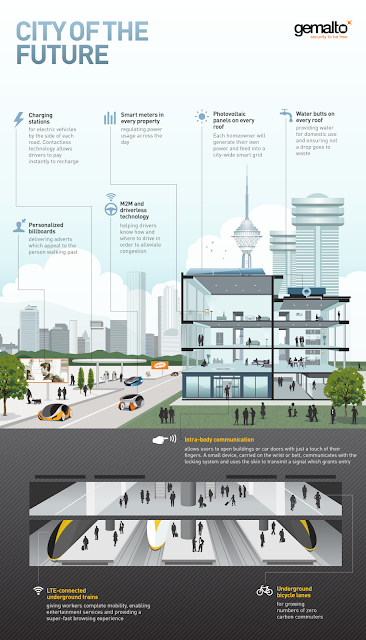 Gemalto has come up with an infographic (yay, I love infographics) depicting how living in a M2M connected city in 2025 will be like. 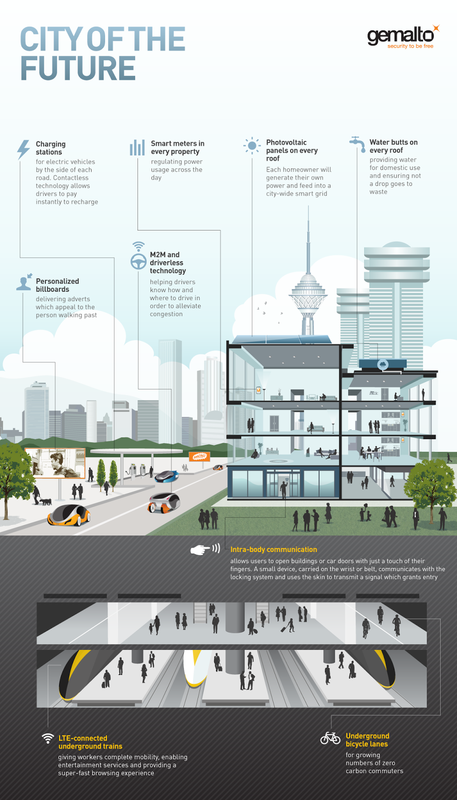 Unlike most future predictions which tends to be a tad way out there, the predictions here are pretty sound. Many of these innovations such as charging stations, smart meters and photovoltaic solar panels are slowly becoming the norm in London while others like underground cycle lanes will likely only appear in new cities (we can't even get HS-2 off to a start yet!). While it may seem crazy to think that we would be getting LTE in underground subways, I don't think the ability to tweet from the Victoria Line is far off. WiFi networks (albeit paid for, and currently limited to stations only) has already been deployed in deep level stations.